In 2016, Makoto Shinkai’s Your Name became the highest-grossing Japanese film ever released in China. That may explain the existence of the Japan-animated, Chinese-set Flavors of Youth (as the film is called on pretty much every Anglophone source online, so Brit readers will just have to put up with the American spelling). Now available on Netflix, Flavors is not made by Shinkai, but it is made by the “Shinkai” anime studio, CoMix Wave, with visuals evoking Shinkai at a glance. Flavors consists of three different short stories set in modern China. The format may suggest 5 Centimeters per Second, but unlike that film, these stories are almost entirely separate and are each credited to a different director. Two of the directors are themselves Chinese, including Li Haoling, who directs the last and best segment, “Love in Shanghai”, and is credited as overall Chief Director. The film is a collaboration between CoMix Wave and the Shanghai animation company Haoliners, (which previously showed up on anime radar when its subsidiary bought the Japanese studio Artland a couple of years ago), but it certainly looks like CoMix Wave work. That’s not to say it looks like good CoMix Wave work. Anyone expecting Shinkai-level standards should trim expectations, especially for the first two segments. Flavors just isn’t on that level. Visually, the trailer at the top of this article shows off the film at its best; at worst, it can feel like a TV version of a Shinkai film. Flavors is respectable, but it often feels obvious and disappointingly dull, for all the huge potential of China getting the “Shinkai” treatment. At least Netflix lets you skip if you get too bored by one story; the second story starts at the 17-minute mark, and “Love in Shanghai” starts 44 minutes in. The opening story, called “The Rice Noodles,” is directed by “Jiaoshou” Yi Xiaoxing. While it begins in Beijing, it’s a rural nostalgia story, of a man remembering his village youth. It’s also a Proust-flavoured ode to the power of food – in this case noodles – to resurrect lost time; a similar idea was used for a crowning moment in Pixar’s Ratatouille. Anime has a tradition of lovingly animating food, especially in Ghibli films and Your Name; the latter’s meals were so vivid that they inspired a pop-up cafe in a central Tokyo department store. Impressively depicted as the food is here, it’s overplayed to the point of parody, and the segment, about time and impermanence, is too slight to escape rote platitudes. It could have been far more moving if it was filled out with more detail. That wouldn’t necessarily have needed a longer running time; remember the start of Pixar’s Up. Instead, the most vivid detail in “The Rice Noodles” is a brief scene of a teenage stabbing, with grim associations for anyone following British headlines at the moment. The scene is no more than wince-inducing, but it’s unusual to see such content in a Shinkai-esque film. The second story is “A Little Fashion Show,” by Japan’s Yoshitaka Takeuchi, who had CG credits on all of Shinkai’s films from 5 Centimeters onward. The tale of two young-adult sisters living together in the city of Guangzhou, it’s told from the perspective of the elder sibling. Previously a confident fashion model, she now fears that her limelight is fading. It’s a good premise, but many of the story developments are obvious and it’s hard to stay very interested. Eventually, the relationships between the sisters, and between the model and her kindly gay manager (who falls on the acceptable side of stereotype), do become more involving, and the end is satisfactory. Still, there’s a feeling of lost potential in the segment, and not just because of its disappointing character animation. At one point, it looks as though it’s going to swap viewpoints between the sisters, which could have led to juicy playoffs between them. 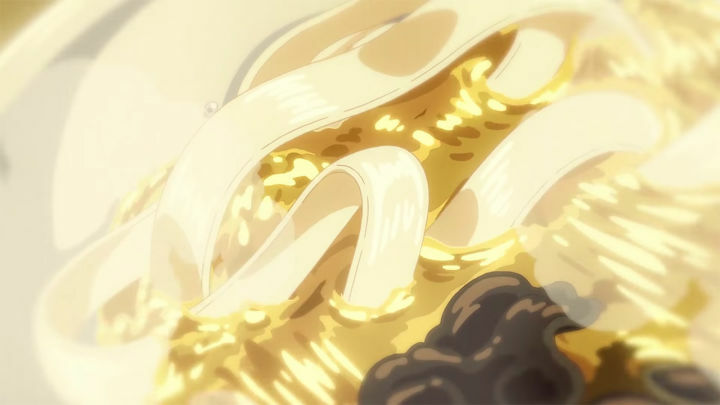 Like “Rice Noodles”, though, the segment looks like a draft for a better story. Li Haoling’s “Love in Shanghai”, the longest episode, is the most Shinkai-ish by far. It focuses on two boys and a girl growing up in the city of the title. The segment starts ominously, with a melodramatic prologue that again feels like self-parody, but the story quickly begins to charm. It’s mostly set in the late 1990s, just before audio-visual media was conquered by the internet and smartphones. Like the “Betamax” sub-plot in Cowboy Bebop, the story turns on an old technology: audio cassettes. Meanwhile, callous urban development rumbles in the background, slowly demolishing the past, the physicality grounding the nostalgia as effectively as a bowl of noodles. 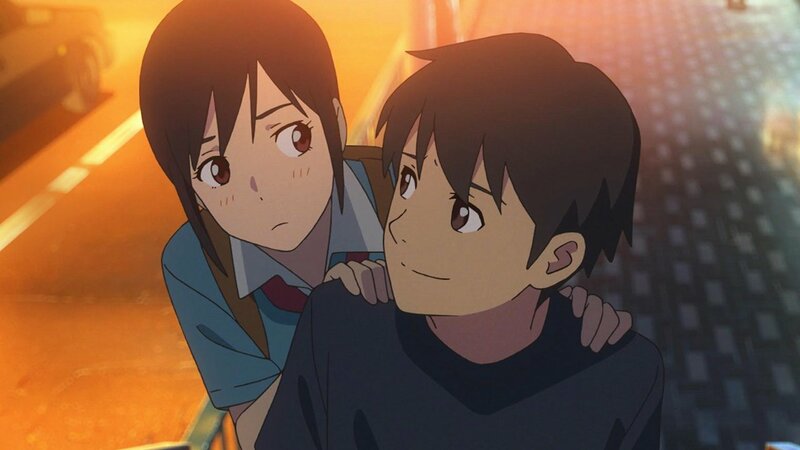 This is the kind of young-love story that will inevitably curl some viewers’ lips; Satoshi Kon was viciously spoofing the form in a Paranoia Agent episode more than a decade ago. But the story’s well-crafted, and the character animation feels notches above the other segments. The segment’s main failing is that, while it has a boldly dark turn at one point, the ending is underwhelming, especially set against the anime it evokes most. Shinkai’s films nearly always end on strong notes; that Flavors doesn’t manage the same serves as a last reminder that this tribute really isn’t Shinkai calibre.